With an eye on the upcoming Madhya Pradesh Assembly polls, the Congress has been trying to unite its workers and leaders through the coordination committee headed by former chief minister Digvijay Singh. Singh began his Ekta Yatra on 31 May from Orchha in Tikamgarh district after offering prayers at the Ramlala temple. The yatra will enter Gwalior-Chambal region in August. Thirteen senior leaders from every region of the state are members of the Digvijay-headed coordination committee. The members of the panel are visiting every district along with Digvijay Singh. It has so far covered more than half the state including Tikamgarh, Chhatarpur, Panna, Damoh, Sagar, districts of Bundelkhand region, Raisen, Sihore, Vidisha of Bhopal region Hoshangabad, Betul and Harda of the Narmadapuram division, Khandwa, Khargone and Burhanpur of Nimar region, Indore, Ujjain, Jhabua, Ratlam, Mandsour and Neemach of Malwa region. During the Yatra, members organise meetings with party workers of the district to resolve any differences among them and partake of meals with them. The MP Congress is known to be faction-ridden and the attempt is to rid the party of this tag. “After the visit of the coordination panel in the districts, the workers are filled with zeal and are taking part in party activities,” said party’s state vice-president Govind Singh. 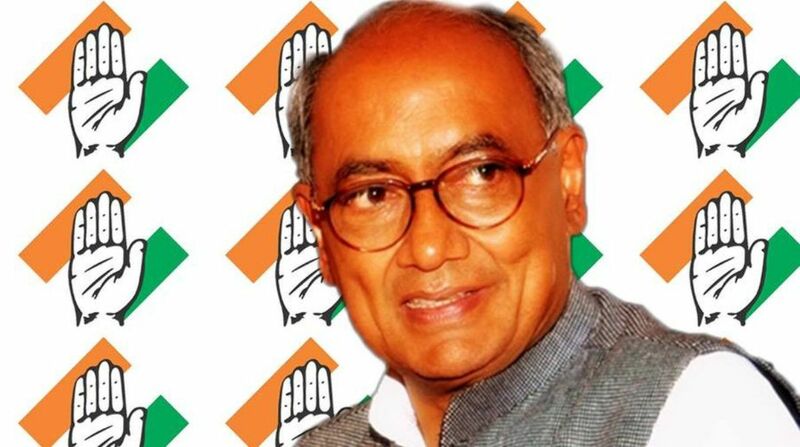 “The supporters of Digvijay Singh in the party spread up to the panchayat level in the state because he was a two-time chief minister and Congress state chief. He is a senior leader and he has announced that he will not take part in government if Congress comes to power in MP,” Govind Singh said. Leaders of different Congress factions who were never seen in each other’s company have now come together. State party chief Kamal Nath, election campaign committee chairman Jyotiraditya Scindia, leader of opposition in Assembly, Ajay Singh, former state chief Arun Yadav, Kantilal Bhuria and other seniors leaders are leaving no stone unturned to return to power. Will Priyanka make a difference? At last, some hope for women?